Vryheid is an active and very musical congregation with choir and brass band. Other activities are Bible Sharing, Sunday School, Women’s and Seniors’ Meetings etc. The congregation also support mission and diaconic projects. Michaelis Congregation Vryheid is a predominantly German speaking congregation with 175 members. English Services were introduced over 20 years ago. At present three predominantly German and one predominantly English Service per month are being held. 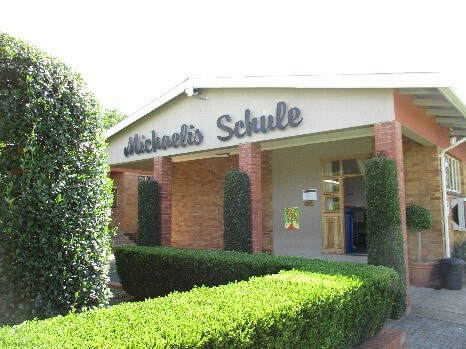 The Michaelis School, is an English medium private Christian Primary School with 90 learners in 7 classes as well as the Michaelis Kindergarten with 70 children. 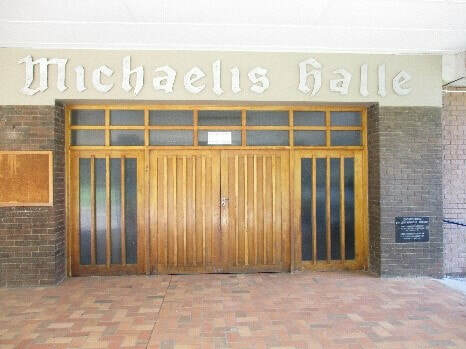 The Michaelis Congregation Vryheid was founded on 1 October 1921. The mother congregation Glückstadt was founded in 1908 when German farmers had settled in the area between Glückstadt and Swart Mfolozi and is not used anymore by the Lutherans. The pastor of the Glückstadt Congregation conducted 12 Services per year in the farming area of Scheepersnek and in Vryheid. As a result, the independent congregation Scheepersnek-Vryheid was established on 1 October 1921. Pastor Reinhard Drews was the first pastor of the newly established congregation residing in the manse in Scheepersnek. In Vryheid, the congregation worshipped in a chapel in Hlobane Street. After a plot was purchased in Mark Street under very favourable conditions the old manse was built in 1949 and Pastor Drews resided there until his retirement after 40 years of ministry. A new church was built on that plot and consecrated on 8 March 1964 and the two churches, in Scheepersnek and Vryheid, were not used anymore. German – 09:30 Every Sunday (except the 3rd Sunday) with Holy Communion on the 1st Sunday. English– 09:30 Mostly every 3rd Sunday with Holy Communion.